Chinese smartphone maker has launched its new smartphone Vivo X21 in India today. It is an all-screen phone with a notch at the top. Vivo is a well-known smartphone maker for selfie cameras. From past few months, it was working on in-screen fingerprint phone and Vivo X21 is one of them. It is the first phone which has in-screen fingerprint. Vivo launched X21 in China a few weeks back. It is officially launched in India today. Vivo is a famous mobile brand in Indian market. The in-screen fingerprint of Vivo X21 will attract more audience for it. X21 packs decent specs in it. Let us have a detailed look at them. Vivo X21 is powered by Snapdragon 660 chipset which is an Octa-core chipset. It has 6 GB of RAM to handle your daily tasks smoothly. Andreno 512 is used as GPU yo provide high-quality graphics. Vivo X21 comes in different storage options. Storage starts from 64 GB and goes up to 128 GB. It has 6.2 inches AMOLED display. The resolution is set at 1080×2280. The display has a notch at the top with 19:9 aspect ratio. The fingerprint sensor is also available in the display itself. This new smartphone has an aluminum body. It has a hybrid SIM slot. You can two SIm cards at a time or one SIM and one SDcard. X21 looks like an iPhone X. It has same iPhone X style notch with same software experience. Although, there is a 3.5 mm headphone on it. The camera department is the main selling point of Vivo. 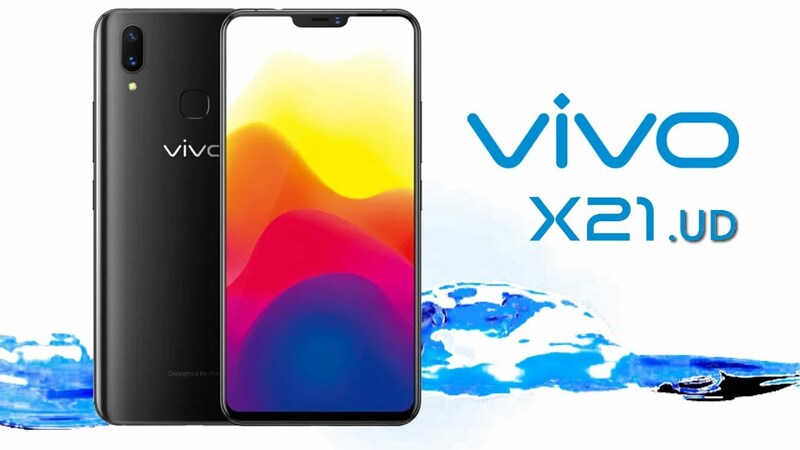 Vivo has continued to provide high-quality cameras with Vivo X21. It has 12+5 MP back cameras with LED flashlight. On the front side, you get a single 12 MP lens to take selfies. Vivo X21 is available for 35,999 INR at offline stores. The online availability is exclusive to Flipkart. The prices for the offline and online stores may see a little bit difference. Vivo X21 with in-screen fingerprint has shown other OEMs that it is possible to have a hidden fingerprint. OEMs like Huawei also brought in-screen fingerprint in its latest flagship device. Although these in-screen scanners are not that fast. Other than the in-screen fingerprint, Vivo has also shown the world that a hidden selfie camera is also possible with it Vivo Apex phone. It is a slow start but we are on the way to have all screen smartphone like Lenovo Z5.